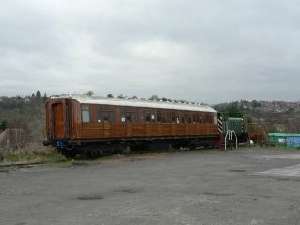 2701 successfully Completed its test run behind the Class 20 from Kidderminster to Highley and back. 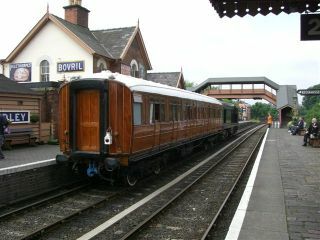 In the above photos it is seen passing through Bewdley. 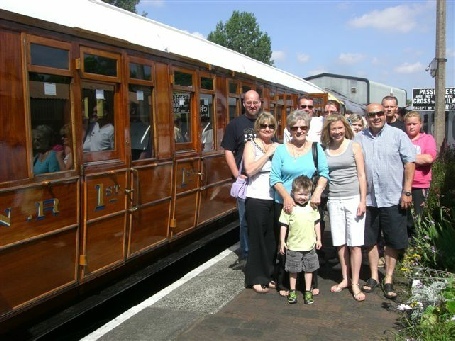 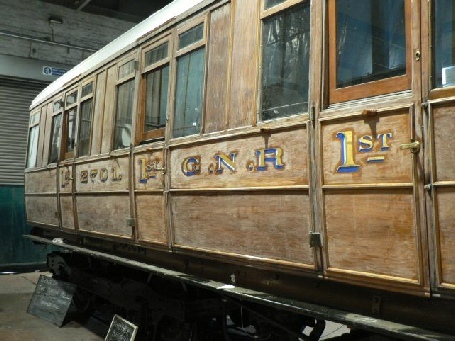 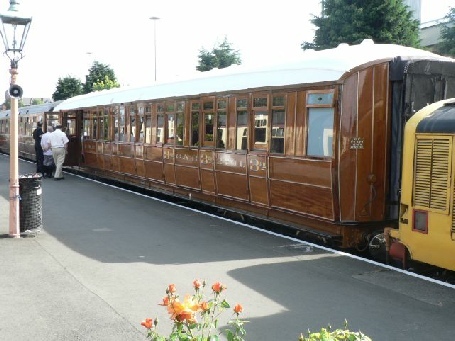 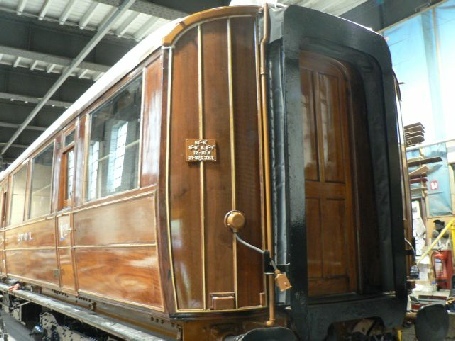 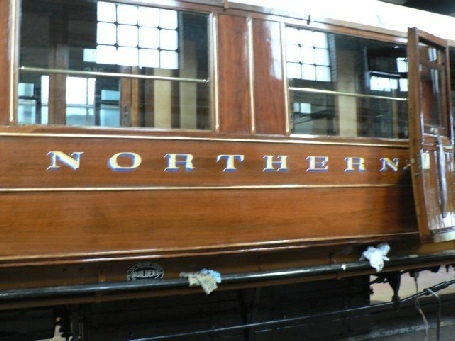 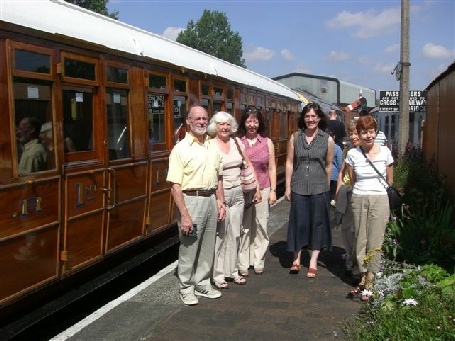 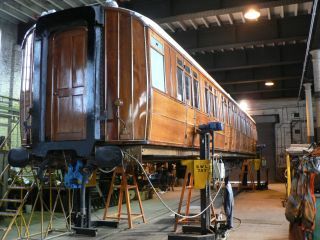 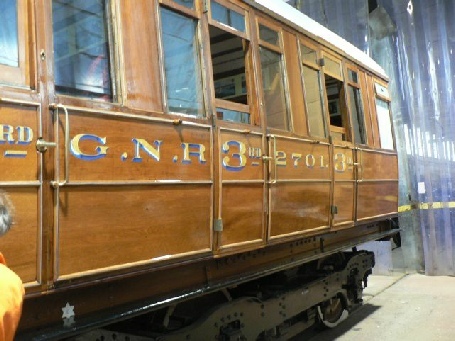 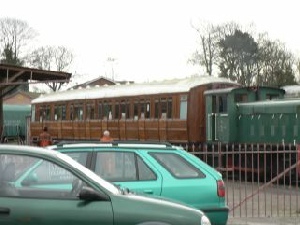 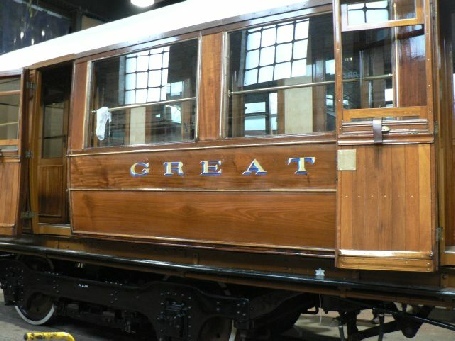 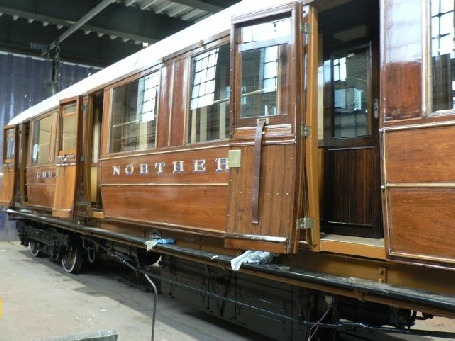 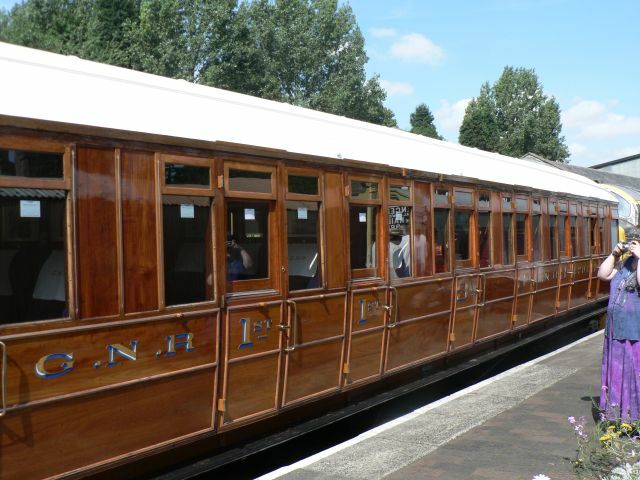 With the roof boards in Great Northern Colours fitted, some of the guests are given a chance to inspect the vehicle. 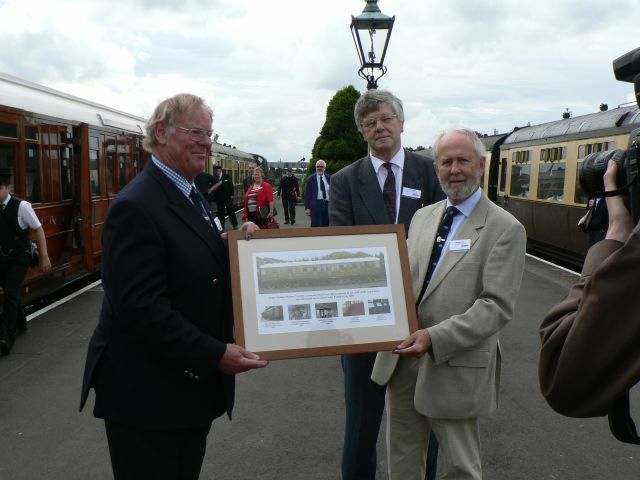 And is presented with a picture of GNR 2701.
his Grandfather's Top Hat to David Mee for display at the Engine House. 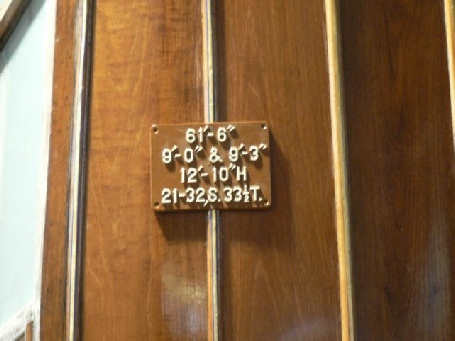 length since at least the early-mid '50’s. 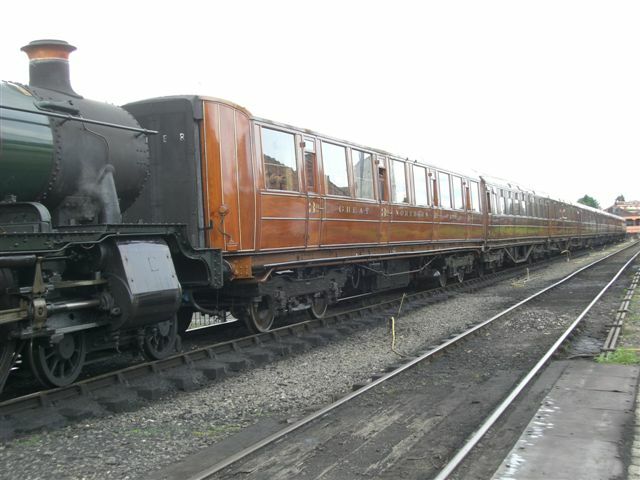 GNR 2701 is shunted with the set to platform one Kidderminster. 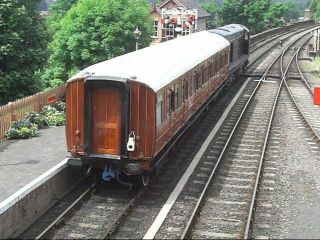 Arrival at Bridgnorth for the fist time and no hiccups encountered. 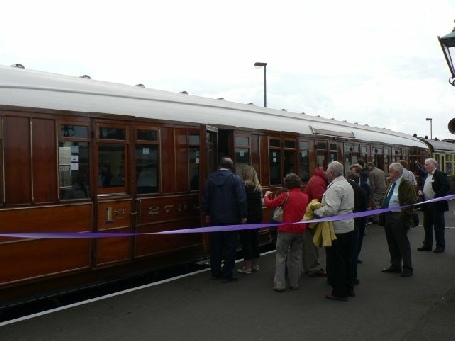 The first passengers to travel aboard 2701 disembark at Bridgnorth. 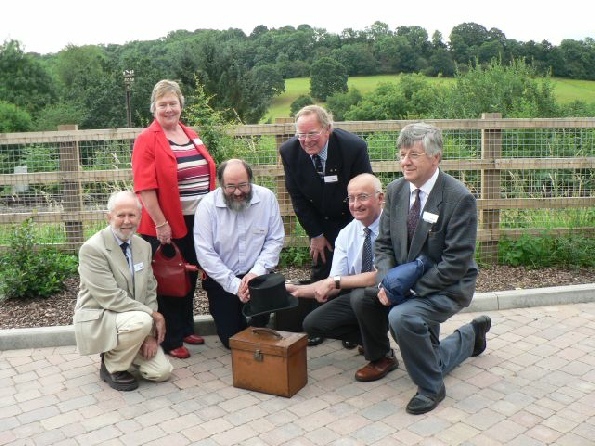 And the some of the restoration team who made it all happen. 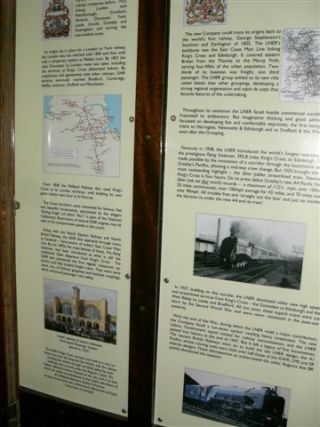 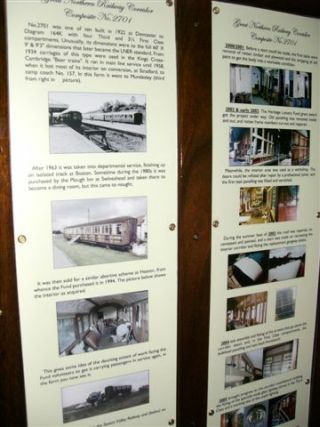 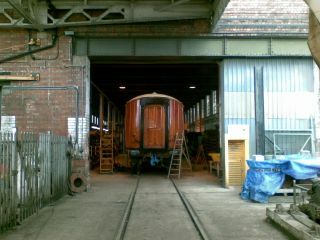 And two more photos at Bridgnorth showing the corridor side and the set. 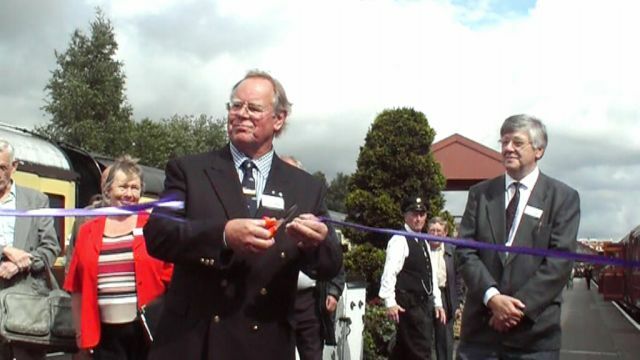 Photos: Mike Cranmore & Richard Hill. 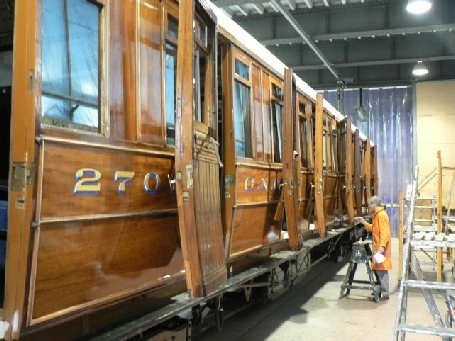 Tuesday 8th July after six and half years of toil The big day arrives and GNR 2701 is out shopped. 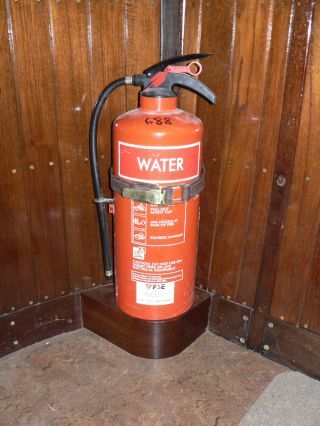 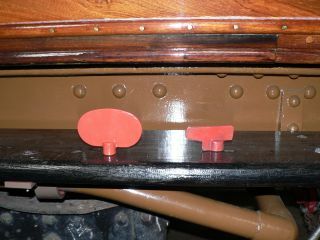 last time, polish the floor, clean the windows and painting the nuts retaining the grab handles. 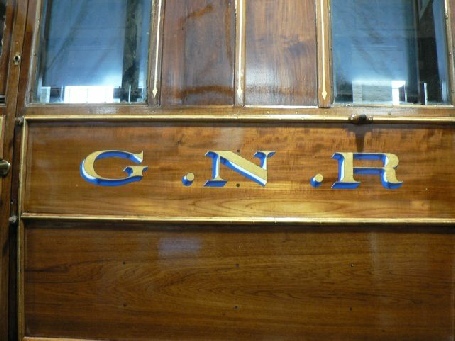 Above pictures show the finished lining, lettering and the final coat of varnish applied. 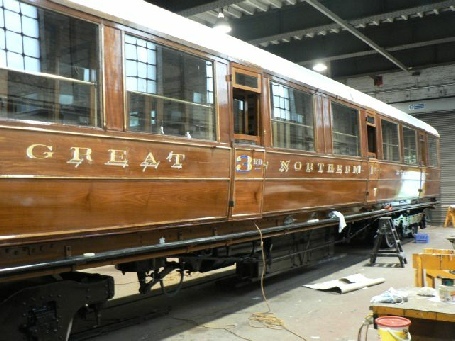 applied to the gold line on the beading below the windows. 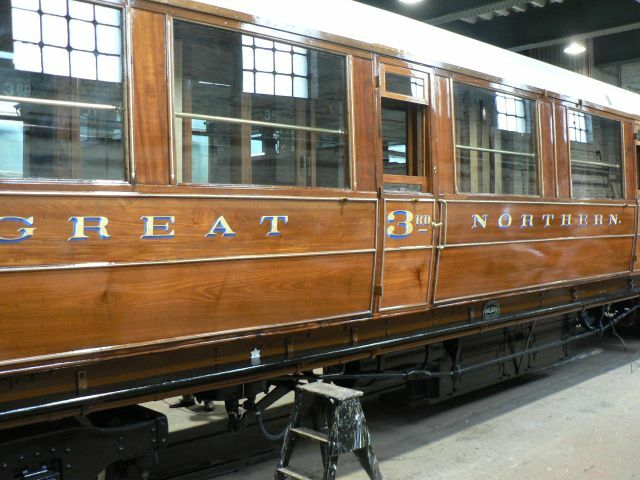 The sign writing of "GREAT NORTHERN" is now complete. 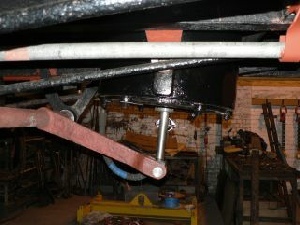 And dimension plates were also fitted today. 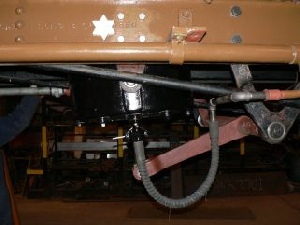 vehicle by its No until it actually gets painted on. 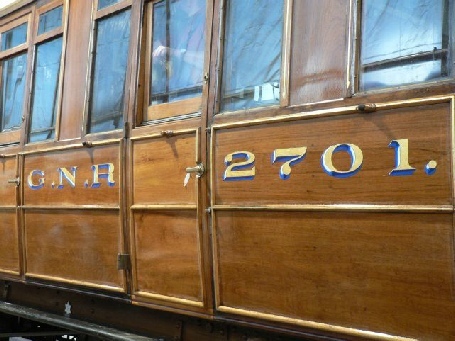 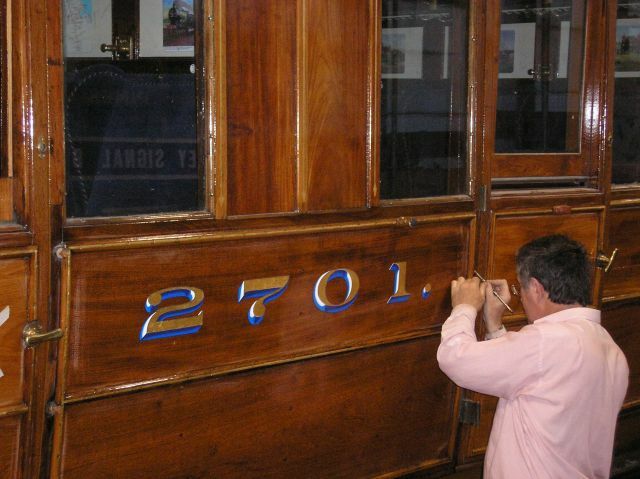 And by the end of Friday the gold lining and both transfers of "G.N.R" and the second "2701" had been applied. 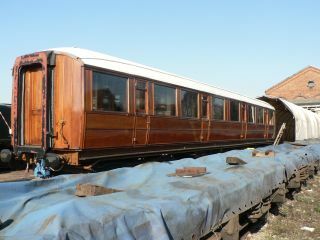 Thursday 29th May and another Milestone Passed. 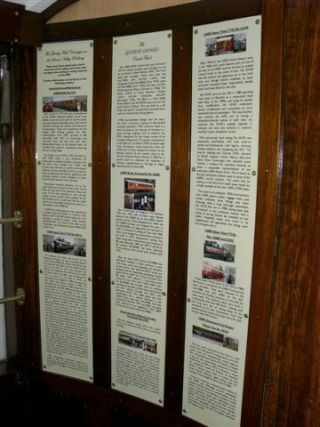 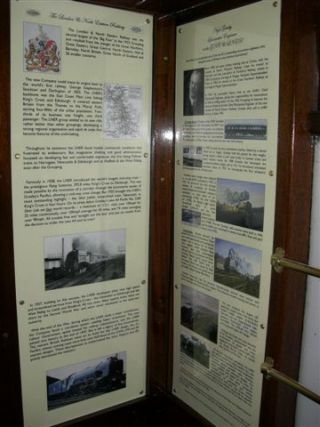 Saturday 10th information panels where installed. 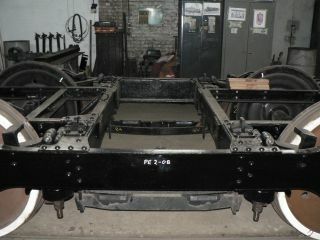 go before a test run and then in to the paint shop. 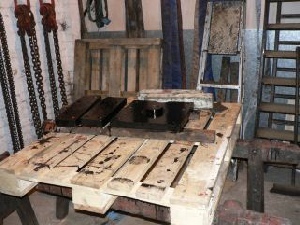 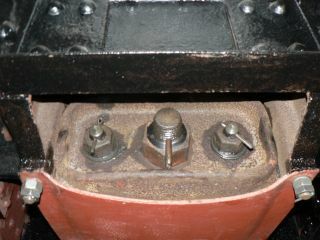 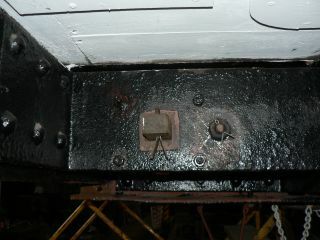 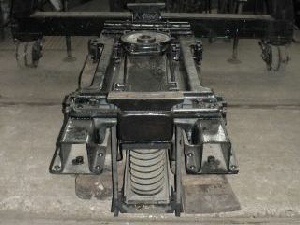 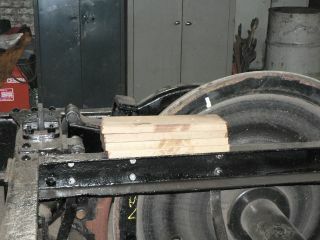 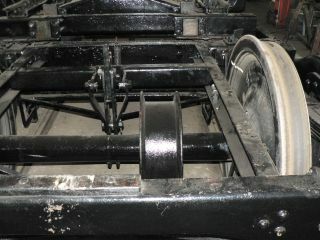 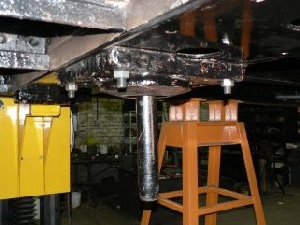 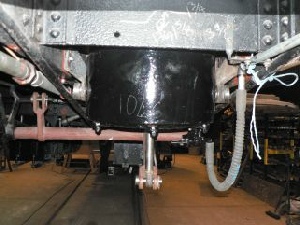 Two photos of the re-assembled wheel sets prior going under to carriage note the dynamo pulley. 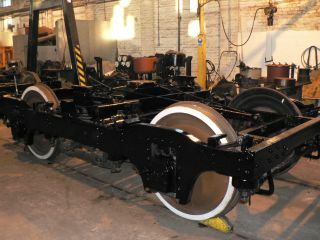 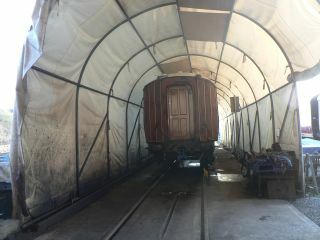 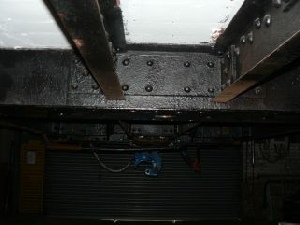 Sunday 19th while delivering some fittings to Kidderminster some photos of the progress were taken. 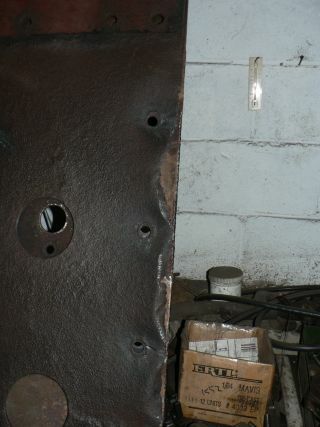 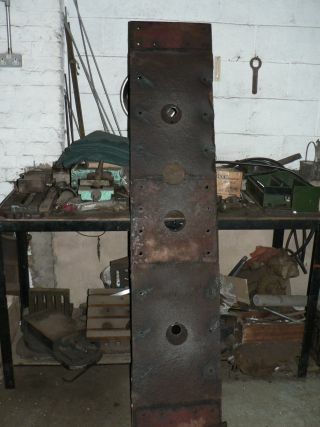 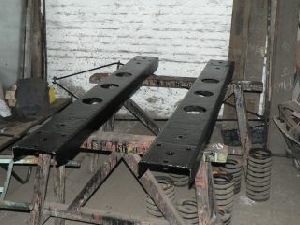 The fitting of new centre plates which the centre castings are mounted is well in advanced. 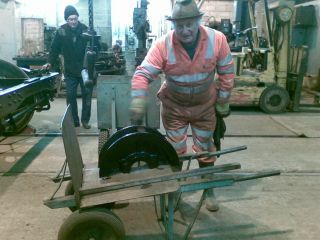 dismantled to get the spring packing right. 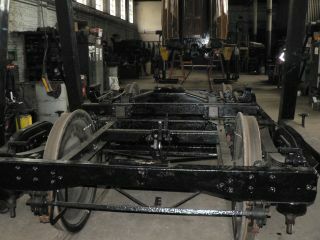 The pile of wood on the frames is the spring packing waiting to be fitted. 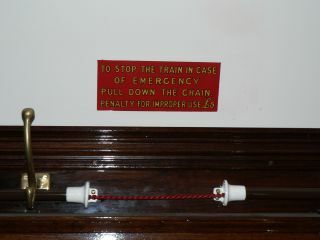 Internally a small detail has been added the communication cord notices have been added. 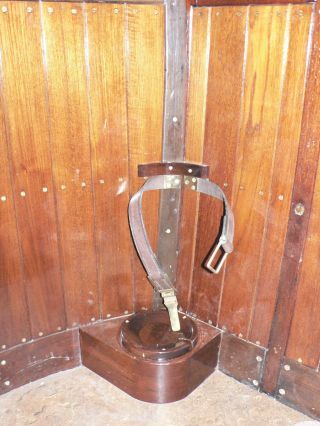 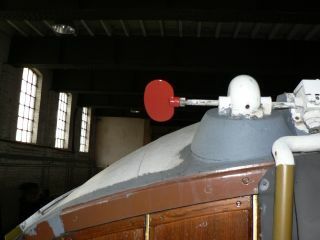 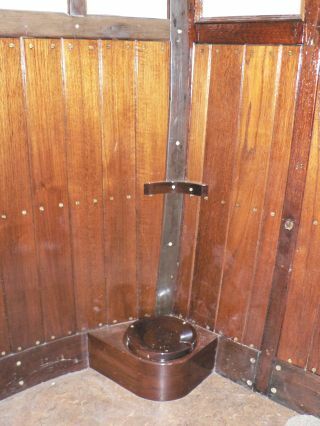 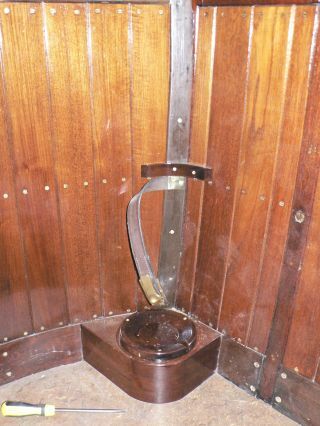 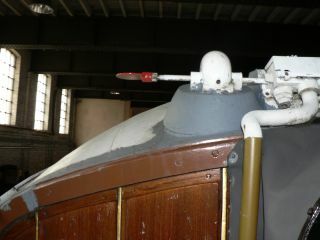 March 3rd A trip to the Kidderminster works was made with the view to ease the windows in the toilet compartments. 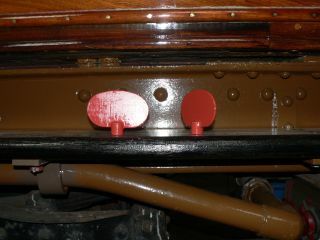 angular flag to the oval shape as shown in the right-hand picture above. 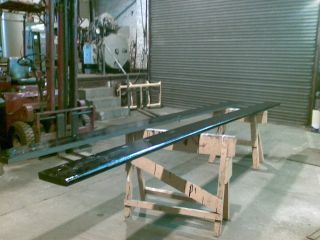 And the final result. 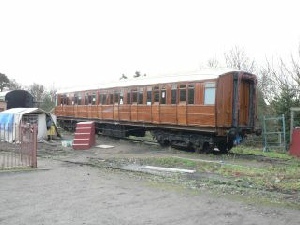 The next time any work will done will be in the works at Kidderminster. 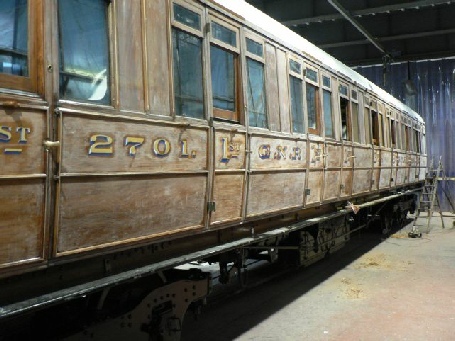 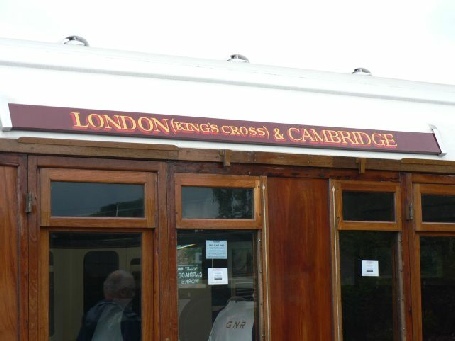 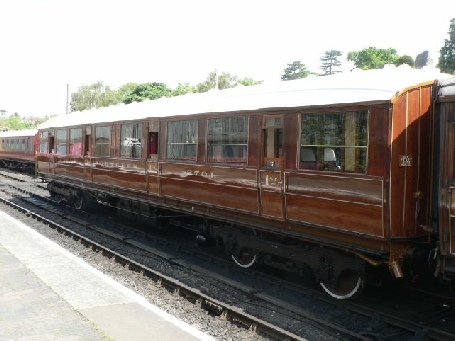 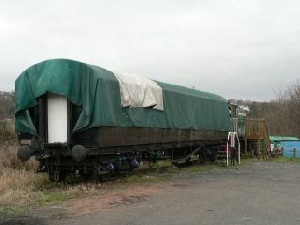 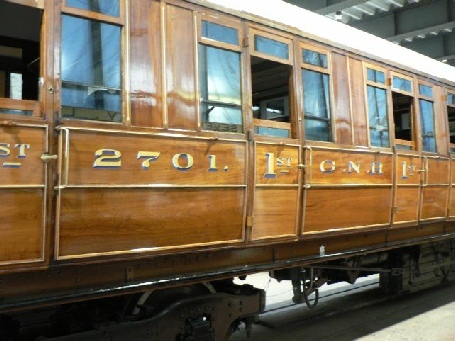 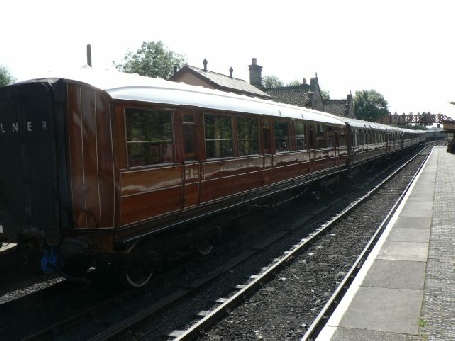 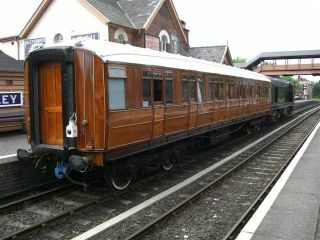 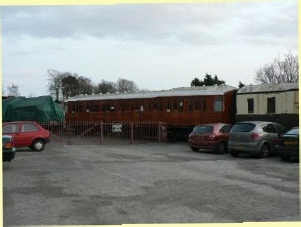 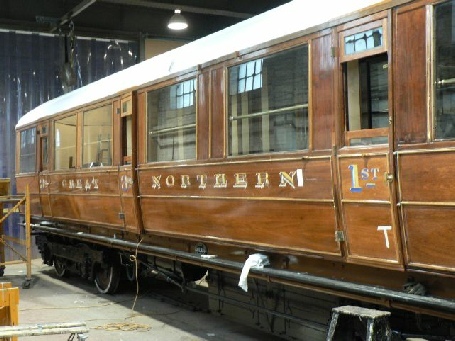 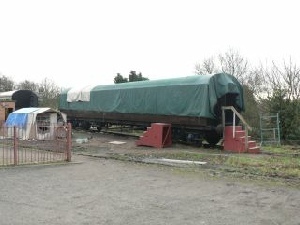 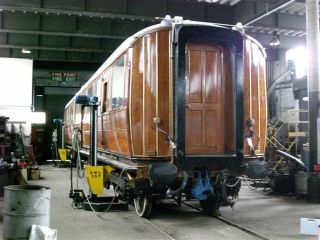 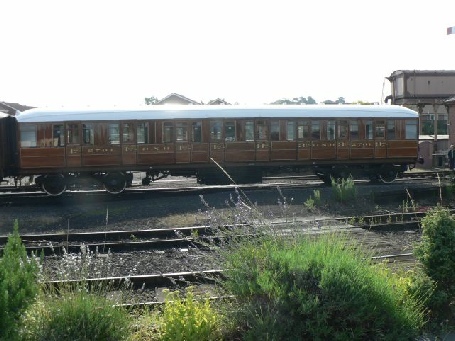 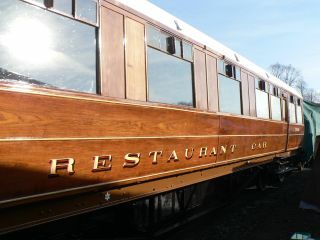 LNER 7960 Restaurant Car returned for final fitting out. 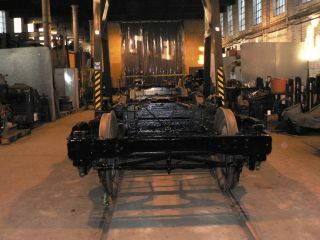 The weekend of the 16th of February was spent in giving the overhauled bogies a fresh coat of paint. 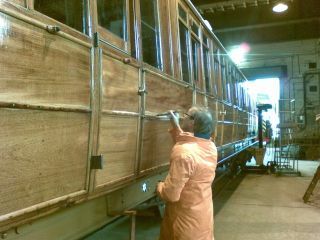 And giving the carriage a wash down ready for lining out and sign writing. 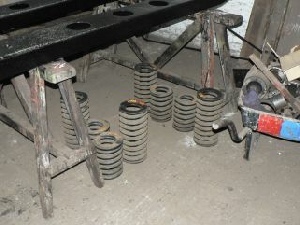 plates and priming the modified vacuum pipe brackets. 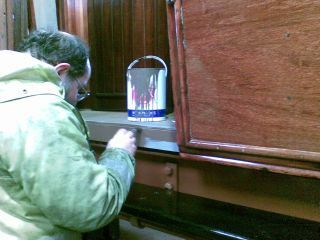 An undercoat of paint was applied to the door thresholds and re-varnishing to areas where damp had got in. 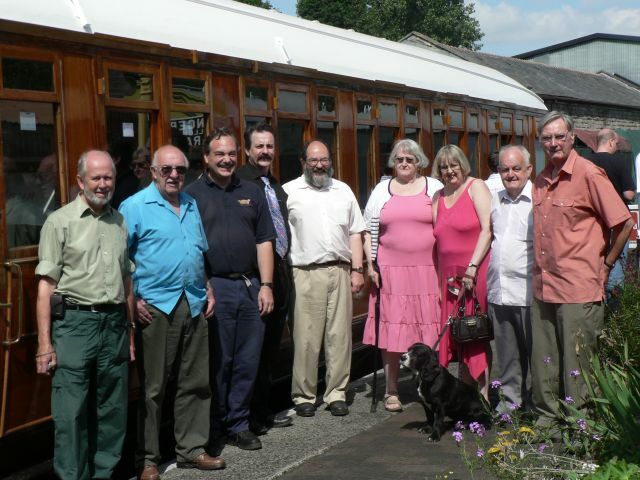 All the tasks that the LNER (SVR) Coach Fund can do will help to keep the costs charged by the paid staff down. 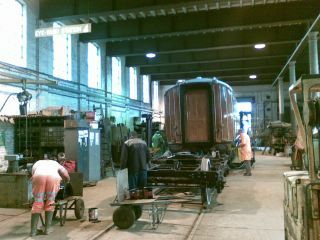 work, lining out and final safety checks before entering service. 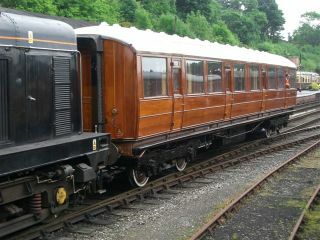 of GWR 1145 follow this link GWR 1145.